Let us explain. The nature of reality is constantly shifting. On a physical level, everything is made up of nothing – tiny particles of energy, drifting through time and space, grouping together to create inanimate objects and physical, sentient beings. We are all just particles, stumbling our way through the universe together while trying to make sense of a gushing tide of information, or data, surging towards us from all angles. Energy is just data in the form of matter. Data, of course, swamps our lives. It flows freely from the media we surround ourselves with, courses through the submarine cables connecting communications systems on different continents, and floats through the gases that make up the air all around us. Data manifests itself in a myriad of contrasting ways, from relentless lines of ones and zeroes, to electromagnetic waves of and pulses of pure, white, bright light, blinking faster than the human eye can see. Yet data is not all pure and innocent. It can be corrupted, twisted into unflattering and unreadable forms before, during or after transmission. 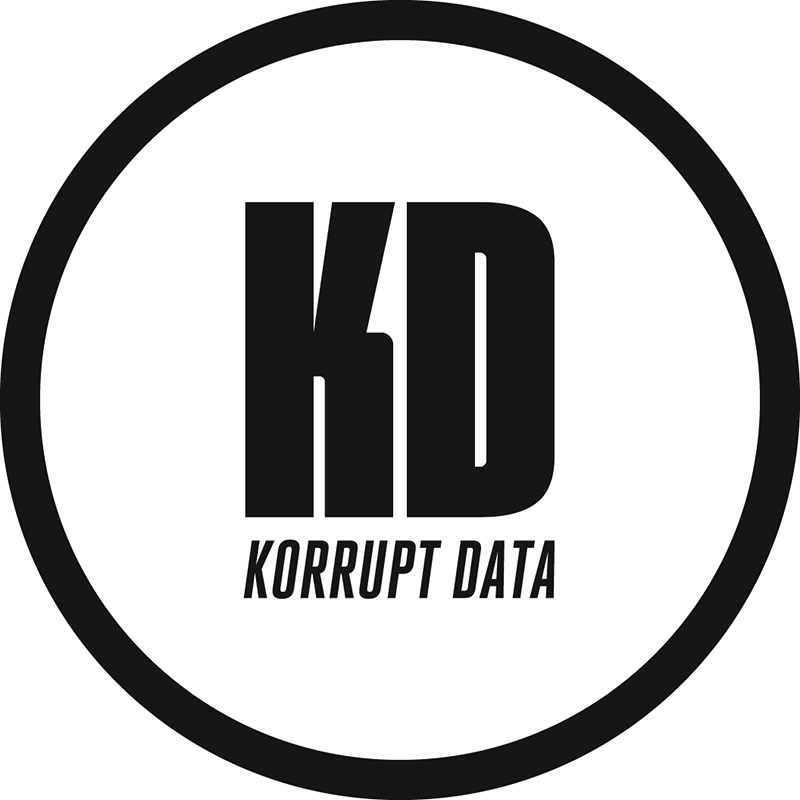 There is as much corrupt data in the universe than clean data. Once you realize this, you will start to question everything: the information drip-fed to us by mass media, what you’re seeing with your own eyes, even the words that drift from your lips first thing in the morning. This is the world in which Korrupt Data inhabits. He, she or it makes music that tests our faith in philosophy, science and data itself. Think surging machine rhythms, intoxicating electronic melodies and otherworldly soundscapes inspired by the netherworld of corrupted data: dystopian fantasies painted in sound, broadcast from the ether. Analogue anti matter for the digital generation. This is Korrupt Data, a musician operating in the spaces between known facts and human beliefs, feeding off the universe’s many malfunctions. The music may thrill and inspire in equal measure, but it also challenges our understanding of the world around us. Succumb to the groove and prepare to be Korrupted.